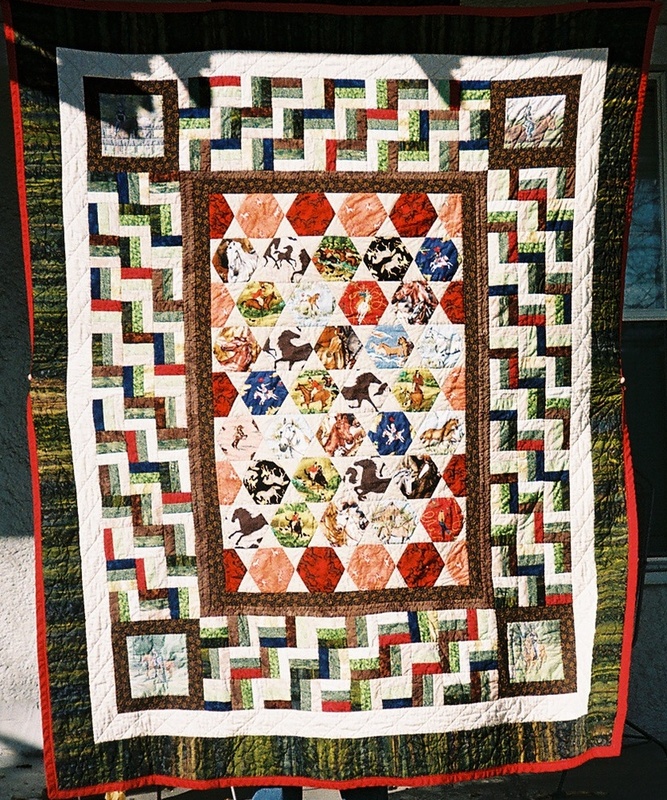 When William was around 10 years old, I made this, my first quilt from Eleanor Burns' log cabin quilt in a day book. 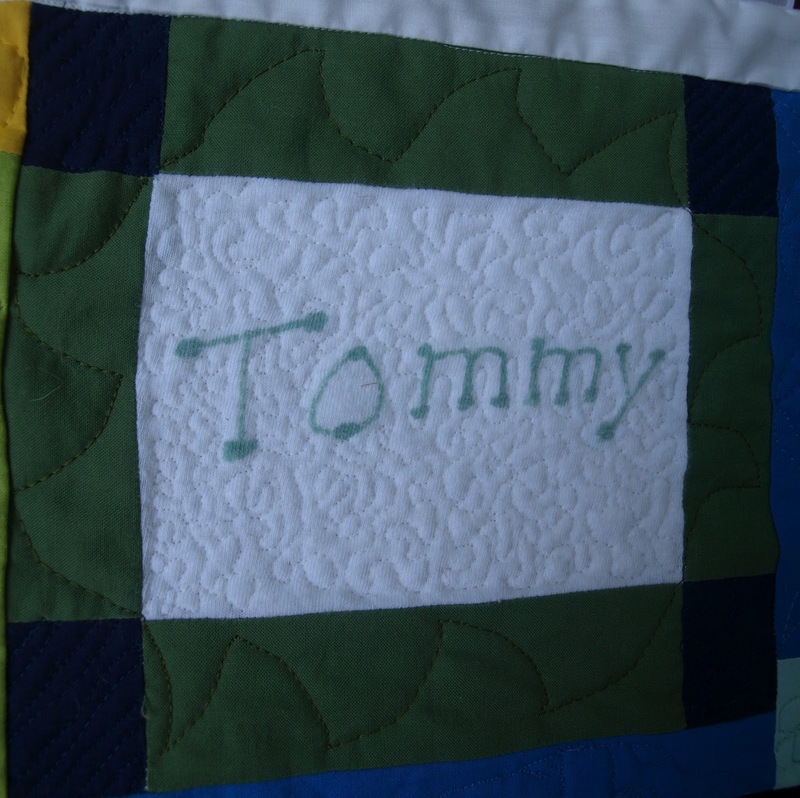 He needed a bedspread, and I couldn't find any that did not look like a single man's or a little boy. So I decided to make him this quilt....I did not know what I was doing. 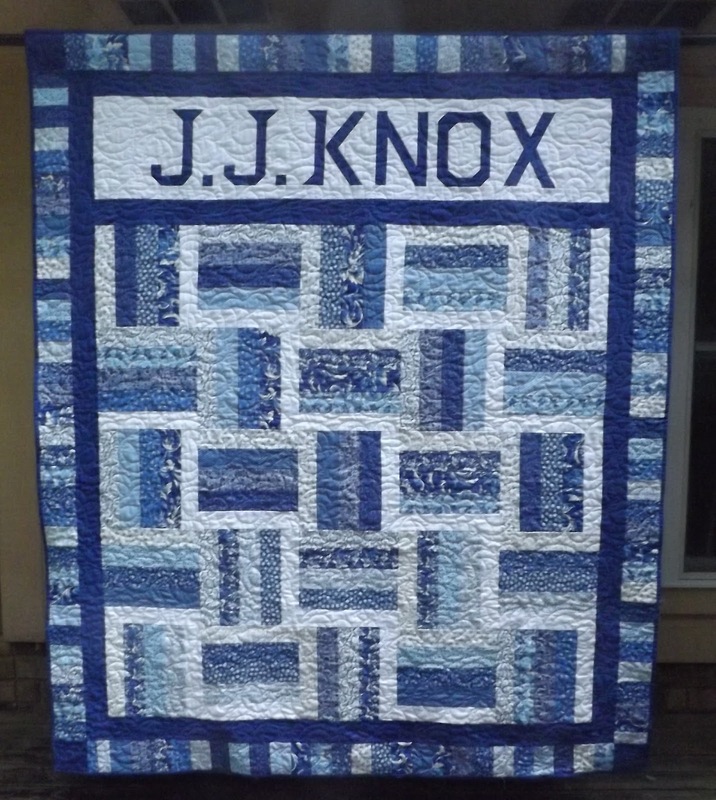 I went and bought her book and read it a couple of times and realized her shop was only about 45 minutes North of San Diego, where we were living at the time. 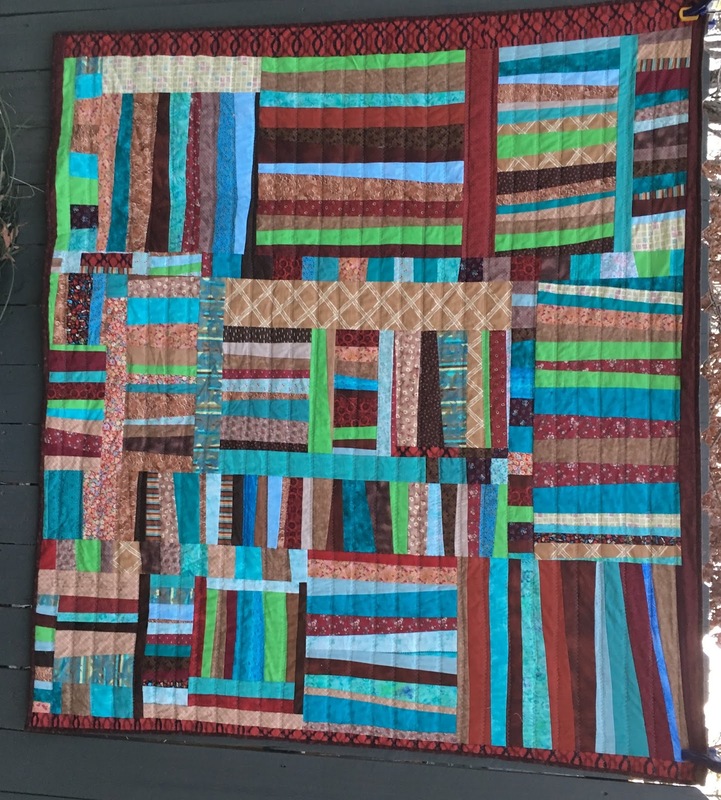 So I went up there and the ladies who worked there helped me put together the fabric for this quilt. 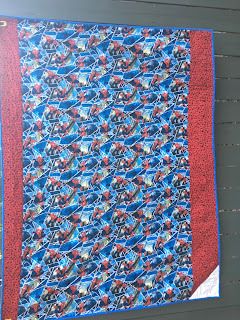 Using the book I made the top and then I picked a really, really high loft for the batting. 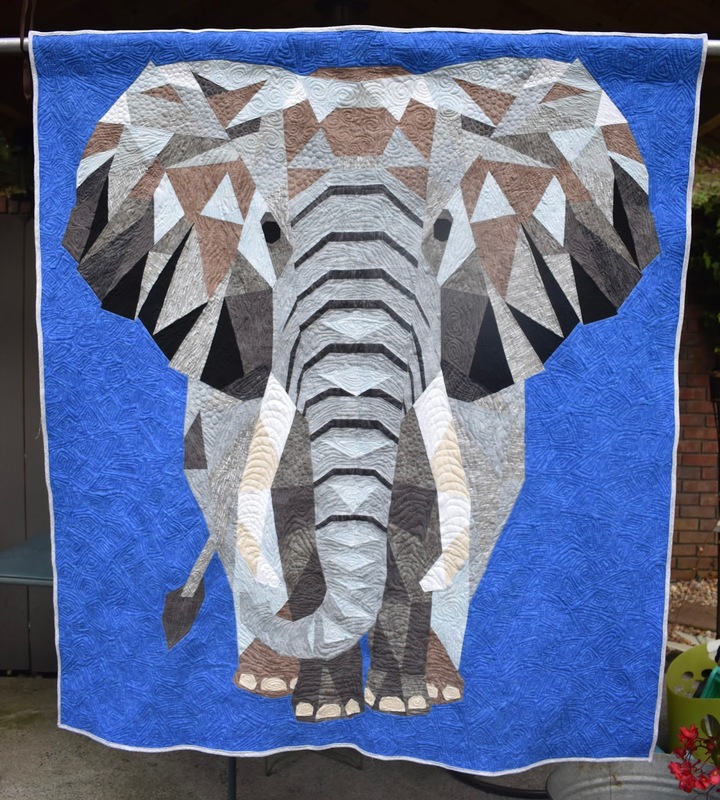 Definitely a mistake. 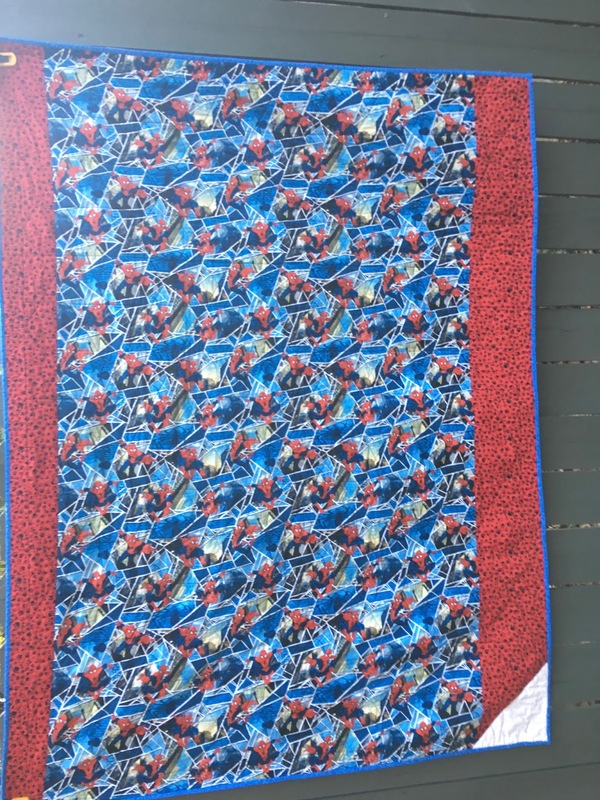 At that point, a new CO's wife came on board my then husband's ship who quilted. 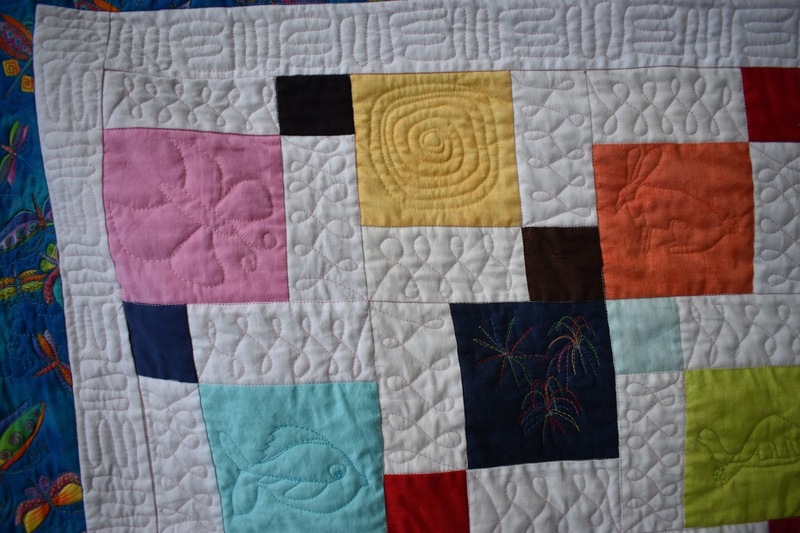 She showed me the ropes and I really liked quilting so I kept at it. 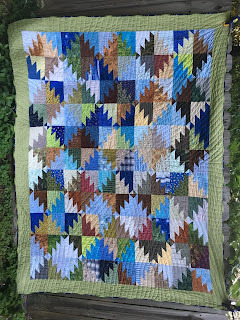 So you know how it is, you make a quilt for one child and the other one wants one too...and I wanted to make one for her. 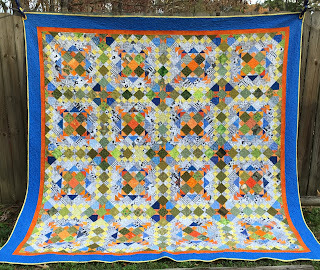 So I made Celeste this double Irish chain quilt. Jeannie, the captain's wife, helped me coordinate the fabrics. 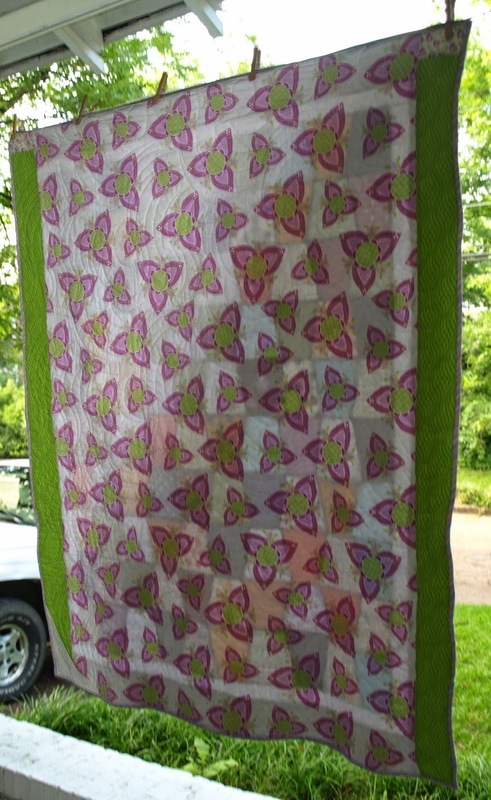 She gave me the pattern that she had made in a class. 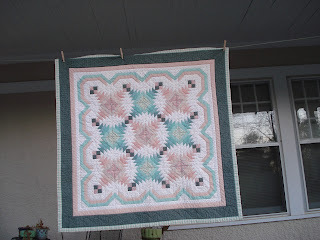 Next, Jeannie and I took a class on pineapple quilts. 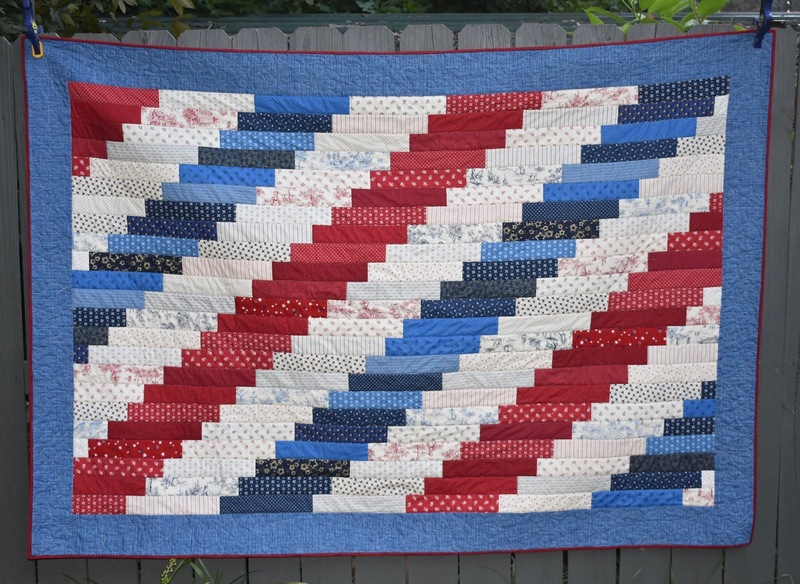 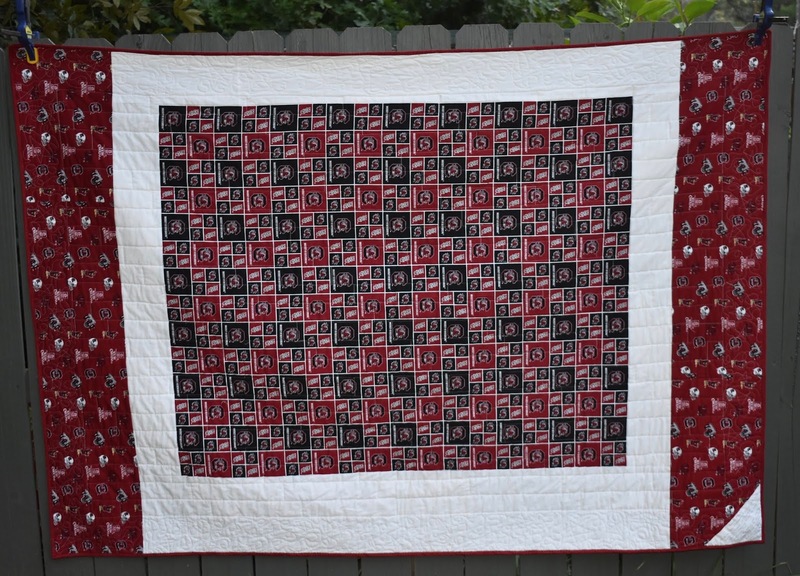 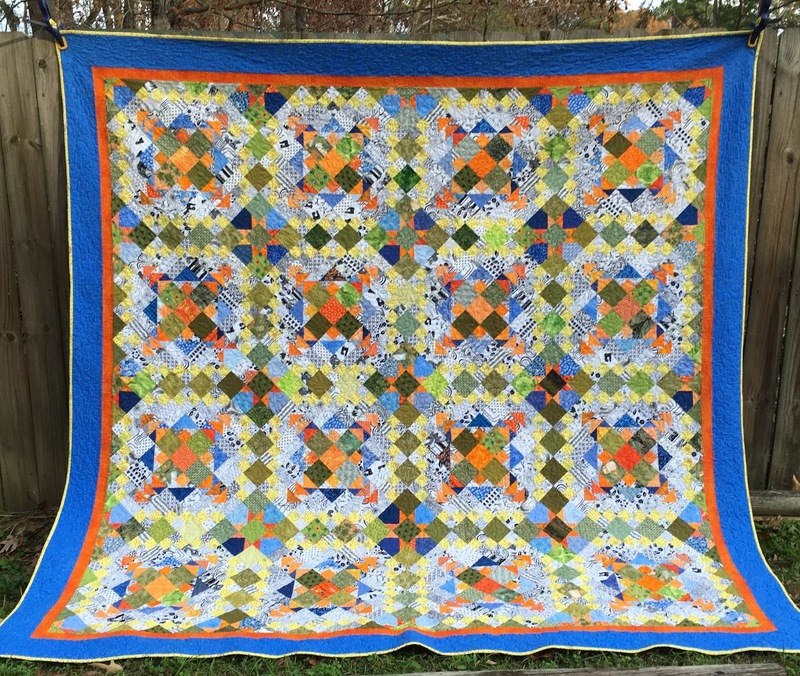 I made this quilt and gave it to Jeff and Anne. 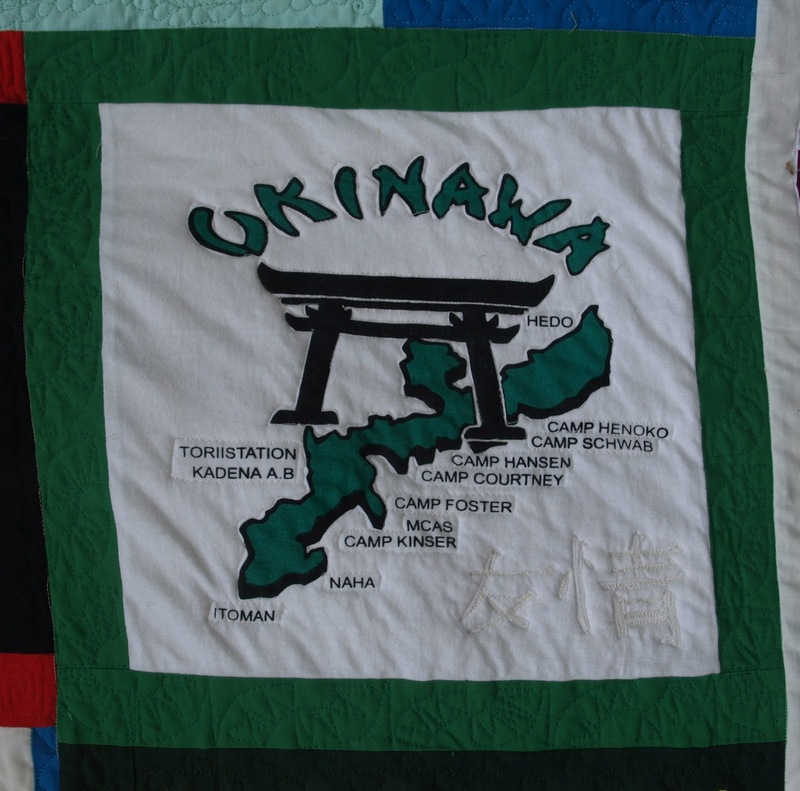 At this point, we moved to Okinawa, Japan. 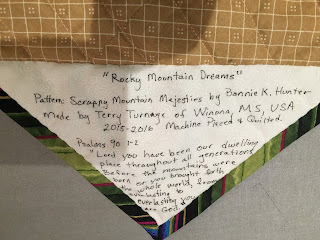 I met Sheri James, who became a kindred spirit. 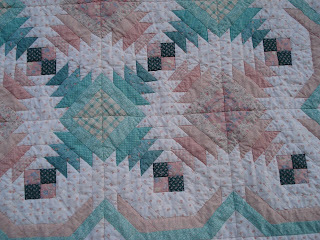 She and I hit it off and she also quilted. 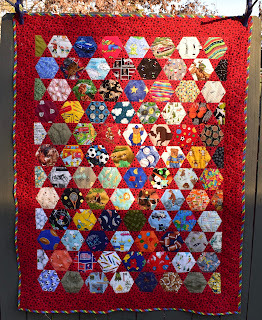 She did lots of other crafts too. 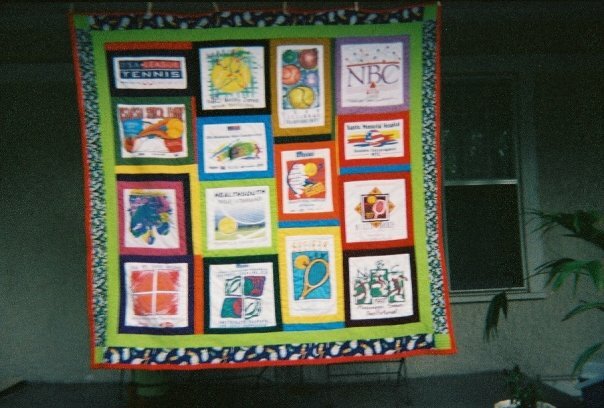 But we both joined the local quilt guild and enjoyed the fellowship there. 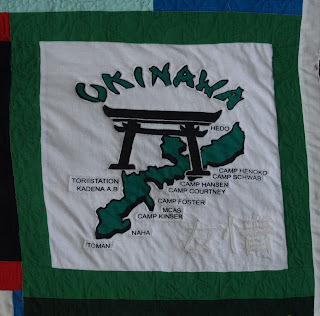 I made a number of tops in Okinawa, but finished very little. 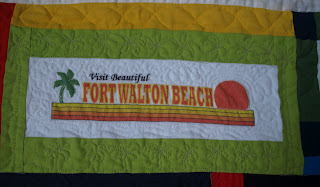 It was a tough couple of years for me emotionally...I was homesick for the USA and felt trapped. 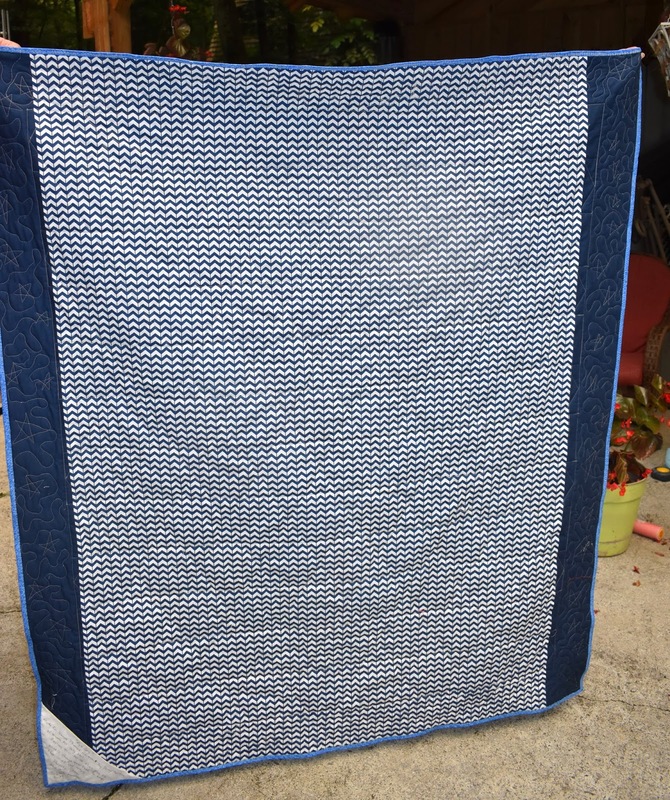 I always had felt that no matter how far away from my family we moved, if something happened I could load up my car and be there in a few days. 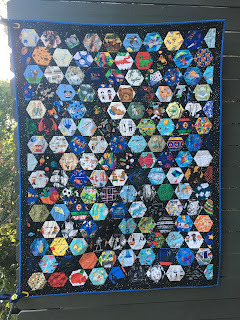 So I made quilt tops...to hot to quilt anything so some sat around for years...but in the last couple of years I decided to either quilt them or give them away. 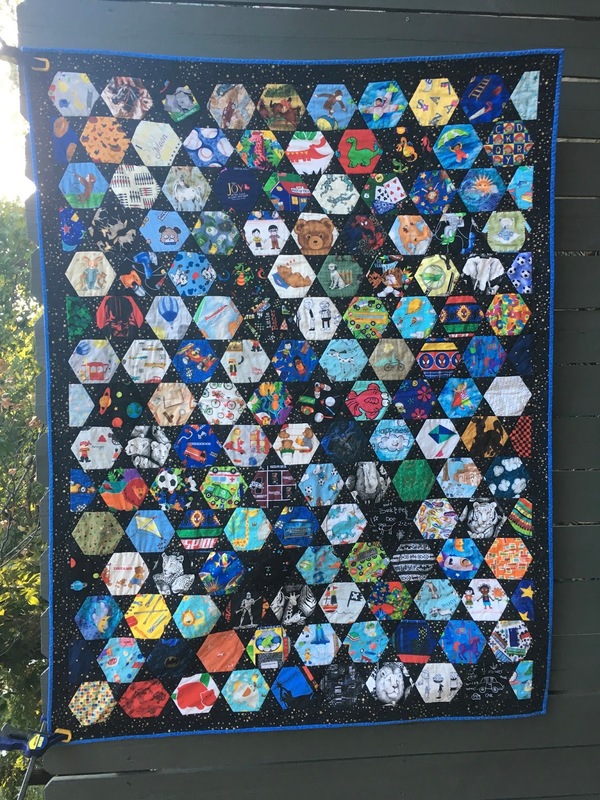 So I have been quilting them and gifting them to others. 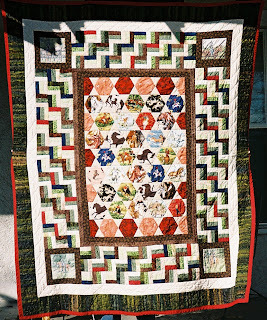 The rest of the photos will not be in any order, just the order I find them on the computer. 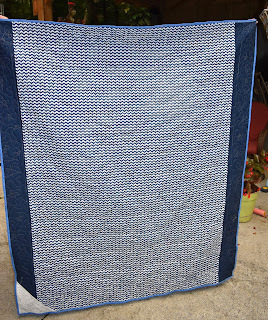 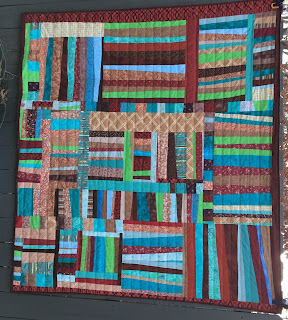 I continued quilting when I moved to Mississippi and have several that are UFO's...un finished objects, that I am working on, but I also start and finish quilts in the mean time...you know you see a fabric and it speaks to you and you need to buy it and put it in a quilt. 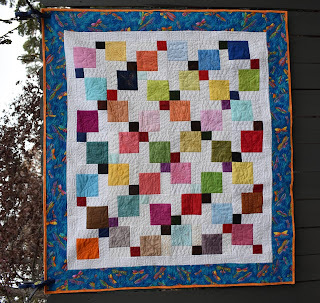 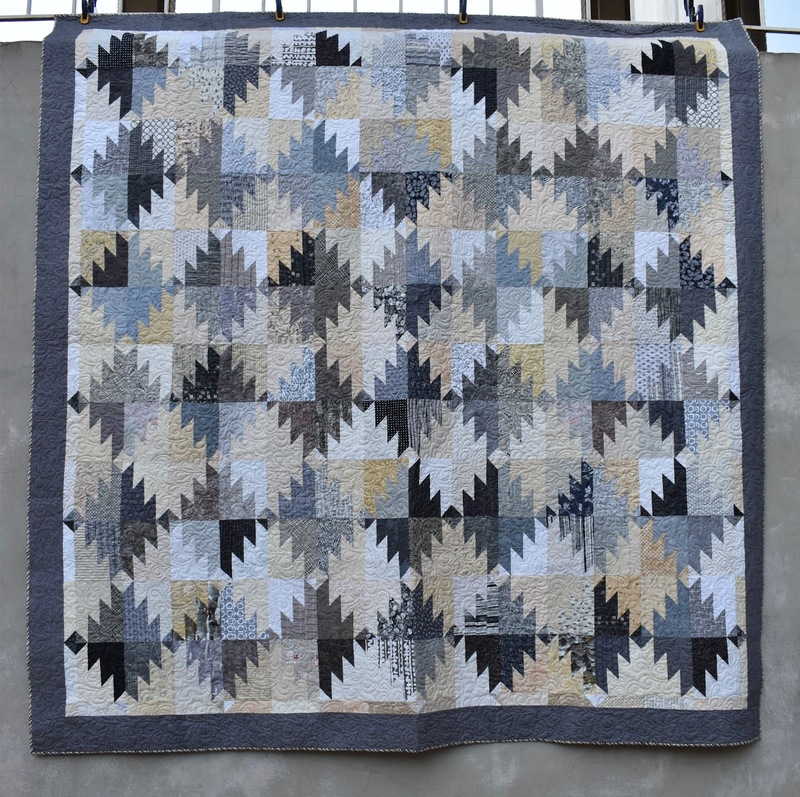 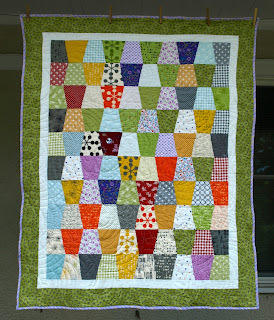 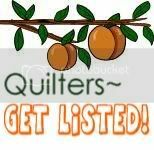 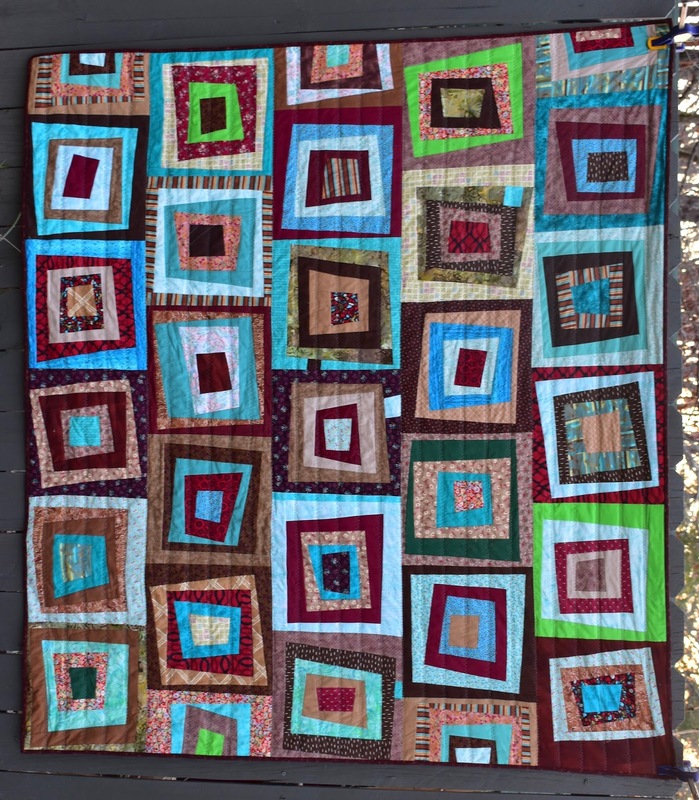 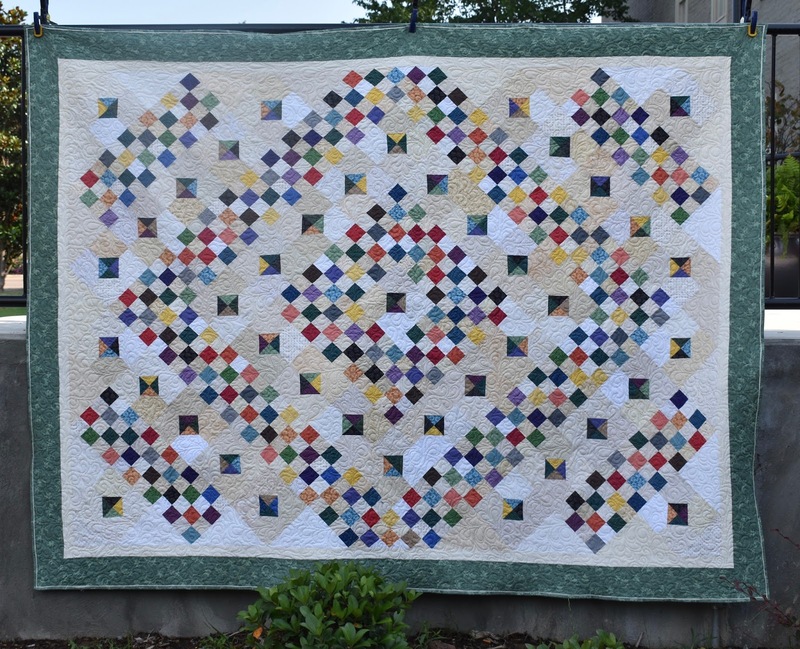 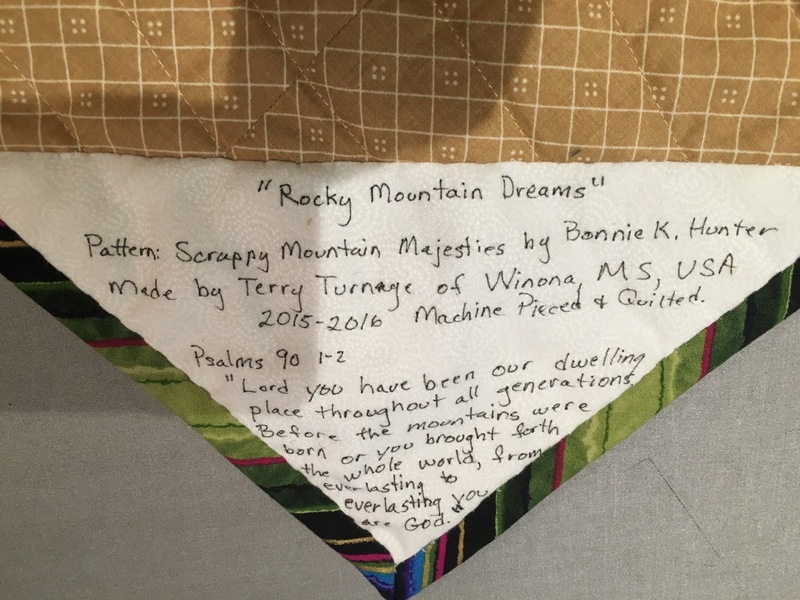 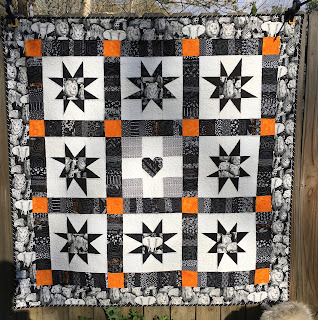 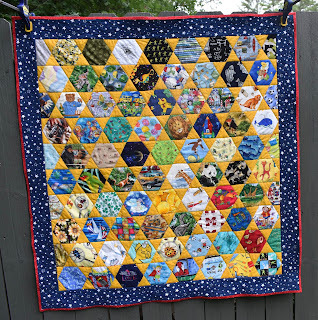 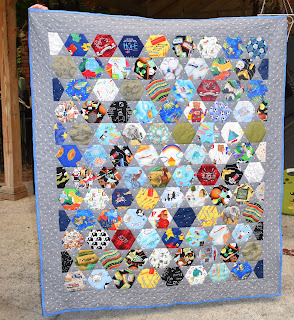 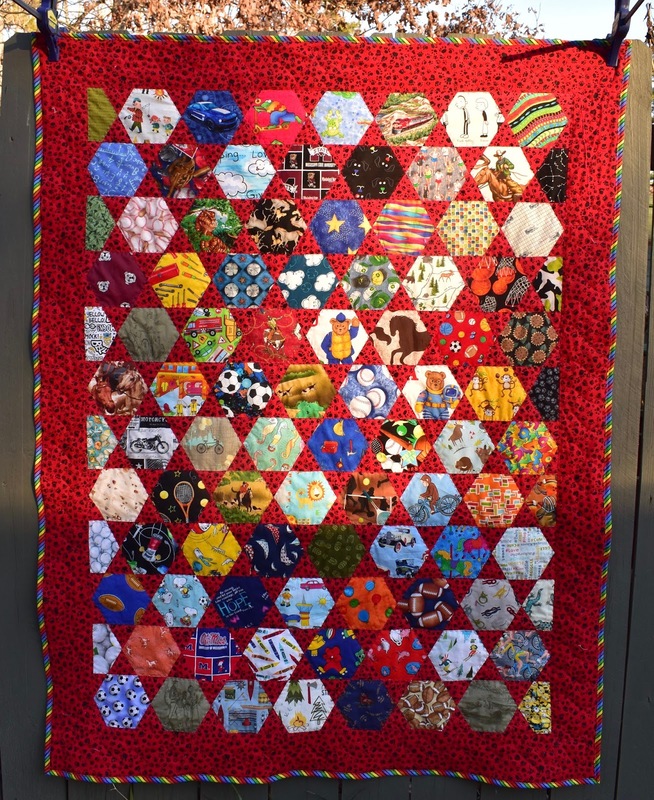 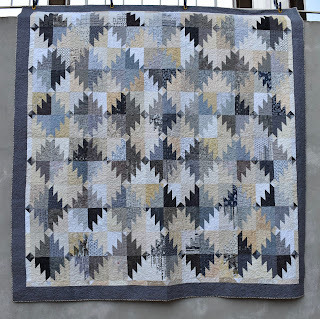 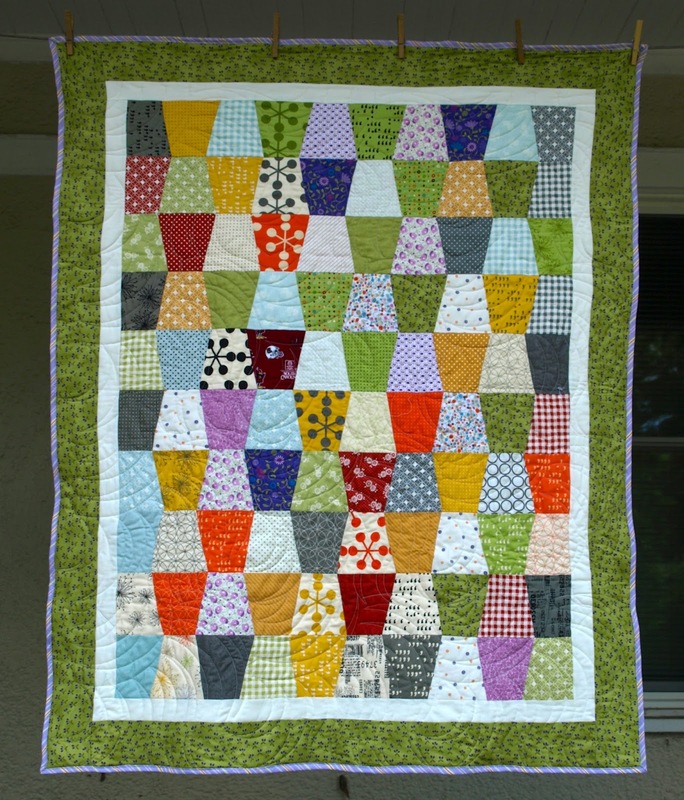 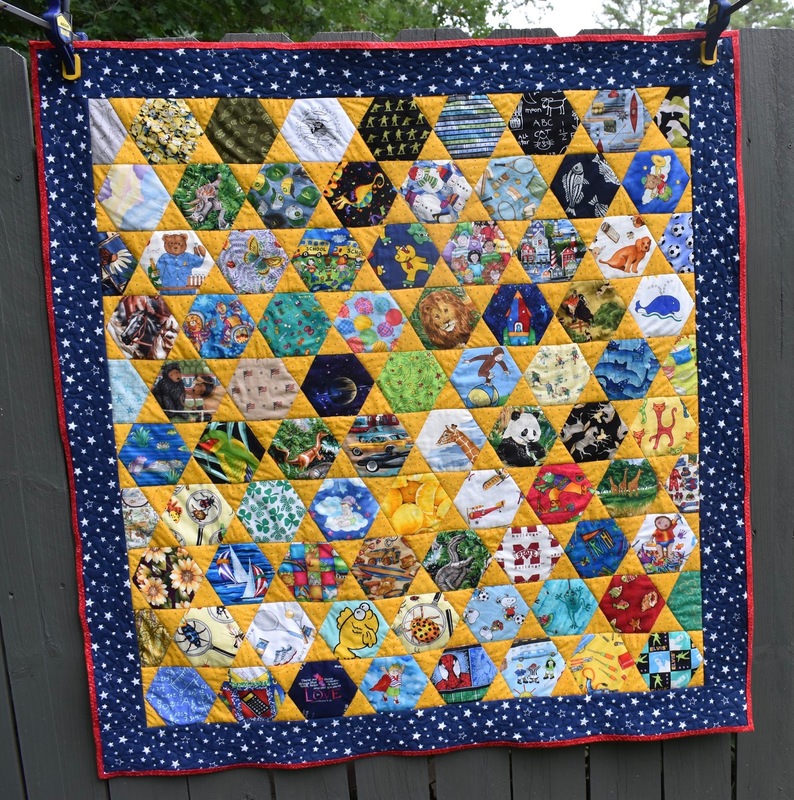 I would go to seminars with my friend Doris Holmes and we would start quilts, and eventually I heard about a guild here in Columbus that I joined and that really spurred me to start finishing my quilt tops....there were lots now. Without further ado... the other quilts. 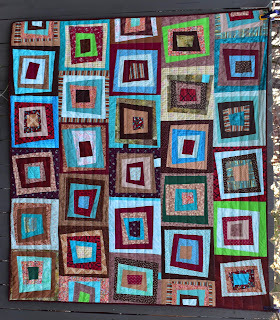 For Celeste's bedroom...I made two of these for the twin beds...now Will has them. 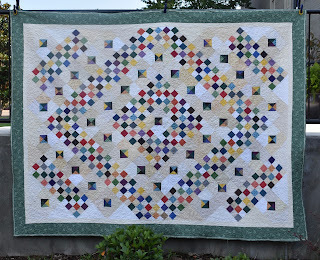 Center of this quilt is a pattern called "Turning Twenty"
This is an Amish inspired shoefly block given to Bryan Doscher. 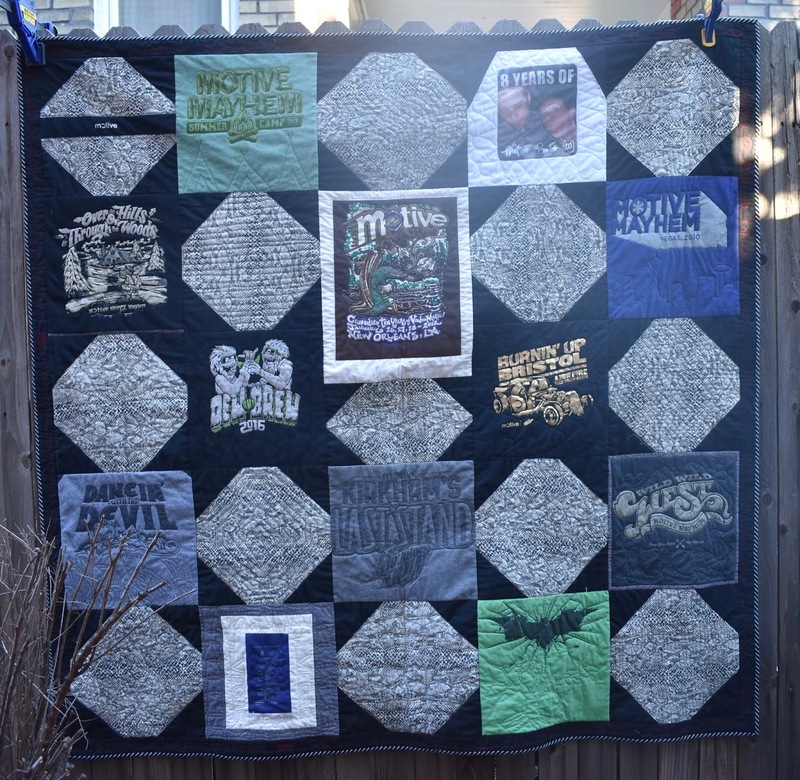 T-shirt quilt Sammy Smith commissioned me to do for McDyess as a wedding gift. 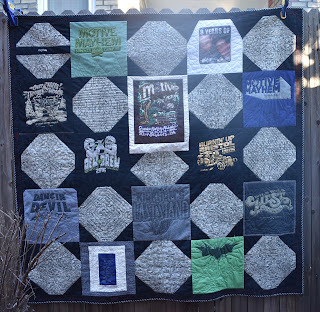 T-shirt quilt for Celeste...church shirts. 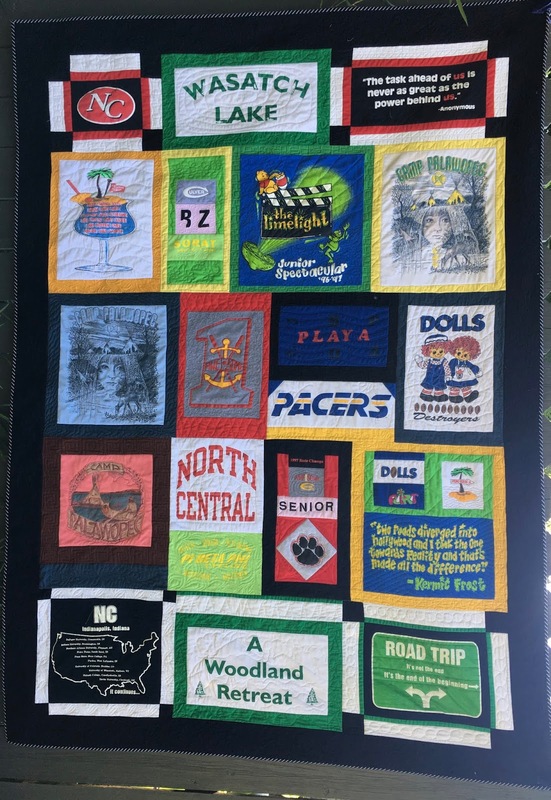 My first t-shirt quilt...not square at all. Given to Will. 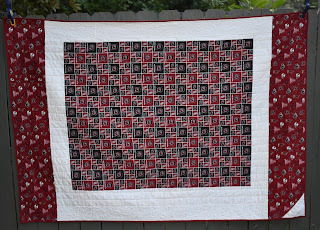 Made this quilt for my friend Sue Harmon to comfort her during her fight against cancer. 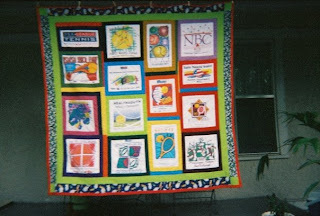 other side of above quilt. 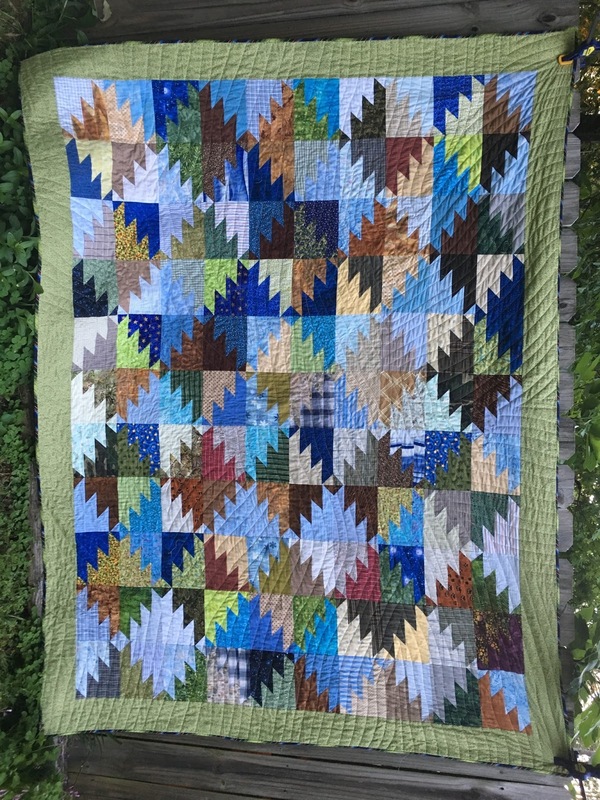 McGregor's Garden, made for a friend of Celeste's. 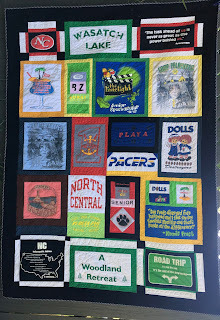 T-shirt quilt made for my dad after he remarried and needed to get rid of some of his many t-shirts.